Prior to closing, an owner of a residential dwelling was informed by the buyer’s attorney that the title to the real estate was not marketable because documents within the chain of title did not sufficiently confirm the existence of a corporate entity or the identity of the corporate officers or the trustees or beneficiaries of a certain realty trust. This problem could have resulted in the failure of the sale to go forward. To make matters worse, the property owner did not obtain an owner’s title insurance policy when the property was purchased. The matter was referred to Attorney Gene J. Guimond who immediately confirmed the existence of the corporation by researching archived documents on file with the Office of the Secretary of the Commonwealth. Because of Attorney Guimond’s work, a lengthy and costly action to quiet title was avoided by locating out of state individuals who were associated with the entities and obtaining and recording of affidavits. 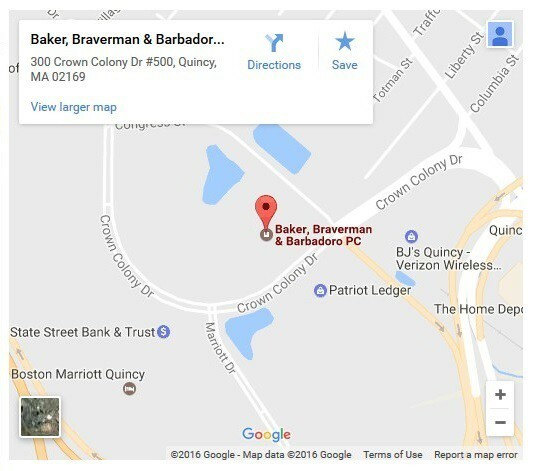 At Baker, Braverman & Barbadoro, our attorneys diligently research matters in order to provide our clients with cost effective legal representation.